Tim Floyd marched up and down the sidelines at the DirecTV Wooden Legacy over the Thanksgiving weekend, clutching his trademark slip of paper. 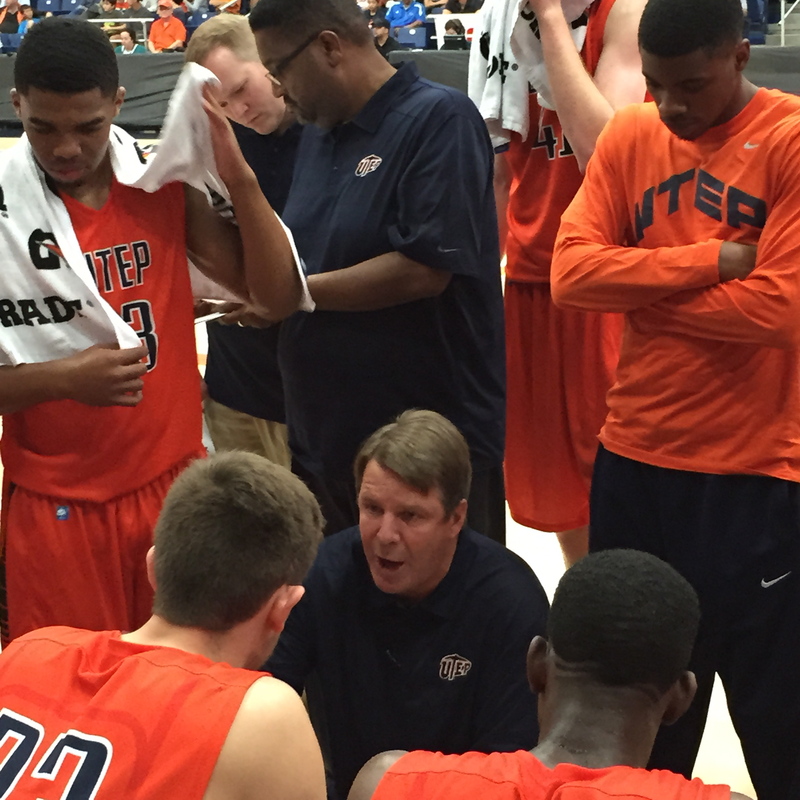 When he chose to sit down on the UTEP bench, he was sandwiched between two of his assistants, Bob Cantu and Phil Johnson. The scene was eerily similar to 2007, when the trio coached USC to the title in the tournament’s inaugural year*, led by tournament MVP O.J. Mayo. A lot has transpired since then to make Floyd forget his team’s triumph 2007. At the time, Floyd had USC basketball trending in the right direction. The Trojans went on to win 21 games that season and finish tied for third in the Pac-10. The next season, Floyd brought in another consensus five-star recruit in DeMar DeRozan, who helped USC win the 2009 Pac-10 Conference Tournament. Things fell apart, however, during the scandal surrounding Mayo’s recruitment. Citing a “lack of support” from athletic director Mike Garrett, rather than an admission of guilt, Floyd resigned in June of 2009. When the NCAA Committee on Infractions finally released their findings in June of 2010, neither Floyd, nor any of his assistant coaches, were cited individually for violations. USC athletic director Pat Haden thought highly enough of Floyd’s credibility to discuss USC’s basketball coaching vacancy during a three-hour meeting in March of 2013. But tensions flared when Floyd and his staff infamously had a bizarre altercation with USC coach Andy Enfield and his staff at the Battle 4 Atlantis tournament in the Bahamas in November of 2013. When asked about his current relationship with Haden and Enfield, Floyd was coy. In Floyd’s first four seasons at UTEP, the Miners have averaged more than 20 wins. Floyd is quick to credit Johnson, who spent five seasons at USC, and Cantu, who was at USC for 12 seasons. In addition to DeRozan and Mayo, Taj Gibson, Gabe Pruitt, Nick Young and Nikola Vucevic all made it to the NBA after playing for Floyd at USC. *NOTE: In 2007, the DirecTV Wooden Legacy was referred to as the Anaheim Classic. In addition, USC vacated all of its wins during the 2007-2008 season.